History repeated itself once for Anthony Enlow. 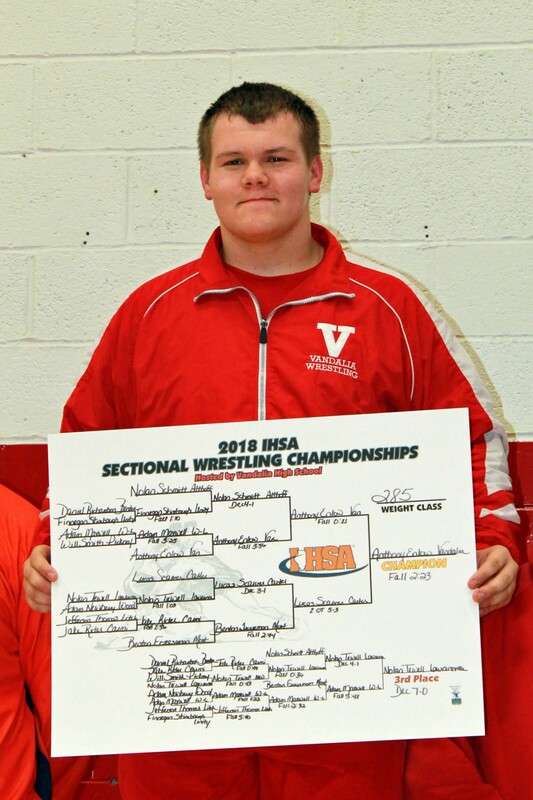 Now the 285-pound Vandalia junior is hoping that history doesn’t repeat itself twice. At last year’s Litchfield Invitational, Enlow defeated Orion’s Logan Lee in the semifinals and then topped Lena-Winslow/Stockton’s Ian Kuehl in the finals to win the tournament title, but Enlow wasn’t able to continue the momentum and finish off his spectacular season with a state title. He’s hoping this year is different. At this year’s Litchfield Invitational on Saturday, Enlow – ranked No. 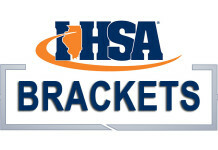 3 in the current 1A 285 GO EARN IT Illinois Matmen rankings – once again defeated No. 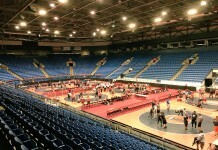 2-ranked Lee in the semifinals and once again topped No. 1-ranked Kuehl in the finals. This time, he’s aiming to cap it off with a state title. Enlow’s strong finish to the regular season came not only with wins against the two kids ranked ahead of him, but it also came against two state champions (Lee 1A 220, 2017; Kuehl 1A 285, 2018). For his performance last week, Enlow is this week’s GO EARN IT Wrestler of the Week. He’s first Class 1A wrestler to win the award this season. Enlow’s semifinal match with Lee was a rematch of the 285-pound championship match at the Princeton Invitational earlier this month. Lee prevailed at the PIT, but this time Enlow extracted revenge with a 3-2 decision. In the finals against Kuehl, Enlow continued his surge as he had a five-point move to propel him to a 5-2 decision. An IKWF state champion as an eighth-grader and a two-time state qualifier in high school, Enlow placed third last year after he fell in the semifinals. This year, he’s hoping to be atop the podium. “It was heartbreaking losing in the state semifinals,” Enlow said. “It wasn’t what I planned to do – I planned to win it all – but it was definitely a motivator. I knew I had two more years to accomplish my mission. Enlow has done a lot of work and preparation to achieve his goal.